I'm delighted to announce a brand new book from popular paper crafter and quilling book author, Elizabeth Moad. Her latest self-published title, Quilled Birds, Bugs & Butterflies, is perfect for quilling newbies or those who appreciate having loads of cute and clever card making ideas at their fingertips. It features sixty card and tag designs, along with excellent instructions and practical tips. The step-by-step photographs are delightfully clear and easy to follow, not to mention the inspiring projects are beautifully styled. Elizabeth offers sentiment suggestions too, so helpful if you find yourself hung up on just the right wording. 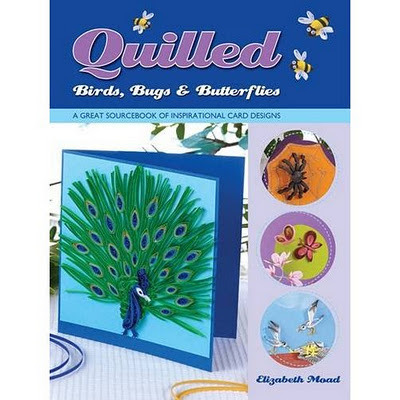 Quilled Birds, Bugs & Butterflies is available from the Book Depository (free shipping worldwide and they accept PayPal), Elizabeth's online shop via her website, and Amazon. She sent the book to me for review purposes and has offered to send an autographed copy to three people with a U.S., Canada, or UK mailing address. To enter, just leave a comment by Sunday, January 22. Winners will be selected by a random number generator and announced on this post and on the All Things Paper Facebook page. Good luck! Edited to say: I understand from comments and Facebook messages that the book appears to be sold out. Rest assured it isn't! Retailers should be restocked very soon as Elizabeth emailed me to say she has already delivered cartons of books to the wholesaler. The names were selected at random and the winners have been notified. Elizabeth will personally be sending out the copies. Thanks to all who entered. Lenoria: I would love to win this book! I tried quilling several years ago but gave up and have only started back within the past 6 months or so and am loving it. I would love to win this book, thanks for the opportunity. 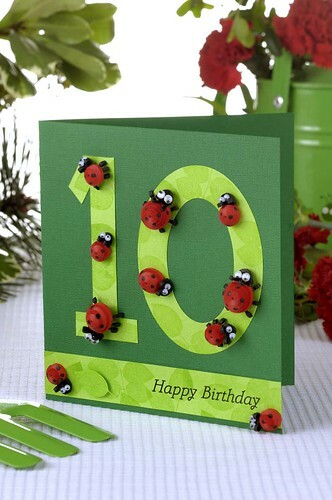 Cindy: Love the ladybugs and bumblebees! Looks like a great book! I just stumbled upon this delightful blog and love the creations here. Thanks! I would SO love to win this book! I found quilling about 6 months ago and boy am I hooked! Thanks to you, I have begun quilling these past several months, and I am LOVING it! You even helped me by advising me about making rather than buying the quilling papers. (You were RIGHT!) I would LOVE to be entered in the drawing! THANK YOU SO MUCH! Kai, I'm delighted to hear you're enjoying quilling and that cutting your own strips is working well. It's a good way to determine if quilling is for you or if you come across a unique paper not available from quilling suppliers. These look so adorable! Thanks for the giveaway! OOOHHHH, I so need this book! Please oh please pick me!! I love bugs, I love paper, and I love quilling! So this book would be perfect for me!!! Thanks for the chance to win it!!! Throw my name in the hat! Love the book - looks like it would be a lot of fun! Book looks great...I have been quilling for only a few months now and just love it! This would be a great book to learn more! I'm a quilling newbie and love the great ideas I have found here. Oh, that book looks amazing, and if it has basic instructions, it sounds just what I need! I first saw your blog a few months ago and am in awe of your talent. I have been meaning to have a go at quilling ever since - this could be the encouragement I need to finally take the plunge!!!! Thanks for the chance to win one of these books. I am new to quilling and I am truly inspired by your website. Thank your for sharing your talent! Lucky is the one who wins this book. These are such adorable quilled cards. I hope to try the peacock. Oooh Very Cool! I would LOOOOOOOVE to win! Another awesome book from Elizabeth! The bugs are way too cute to smoosh! Very nice designs...would be a great addition to any quilling library!! I love quilling and OMG I do want this book. I'm crossing my fingers, toes...and eyes. Thanks for the oportunity to win! Oh, I love bugs, and would really like to win this book. What a wonderful opportunity. Thanks so much! Seems like a great book, thanks for the chance! Quilling and paper crafts are great crafts for the folks here who do rafts with me in Guatemala as the material costs are reasonable and the results beautiful! Great books and wonderful cards! Looks like a beautiful, and very useful book, looove the projects shown, thanks for the chance to win a copy. If you are not already a member of "my" quilling group on FB please come check it out, a lot of talented Quillers there, The page/group is Quilling(paper). Ooooh, this looks PERFECT for my attempt to get more serious about quilling! Thanks for the chance to win!!! I've loved each one of her books and look forward to devouring this one! It's wonderful that there is so much talent in the quilling world. I really hope I WIN! My fingers are crossed. brilliant what did you do that nicely done! This book looks perfect--I'm loving the birds and bees! Thank you for the opportunity! Oh, wow! I would be so happy to own this book. Thank you for this opportunity! I haven't quilled in long time and I would love to jump back in with some cute stuff from this book. Thank you for the opportunity! I have never tried quilling before, but I've wanted to for some time. I love that peacock. I would love to be entered into the contest - thanks! The book looks great. Count me in! wonderful pieces, it's been years since I've made anything, this makes me want to start up again. i'd love to throe my name is the hat. I have done some quilling.. it can be quite addicting. Quilling is such a beautiful art. I have been a follower of your blog for a long time.. would love to have this book. Thanks for the chance to win! Elizabeth always has such good ideas - as I have all her other books this would be great to add to my collection and give my inspiration a new year boost! What a cute little book thank you for the opportunity I love your blog and am just beginning quilling. This looks gorgeous! I would love to check it out!! Thanks for the chance to win. What fun animals. I love the stork card. Hope to win! I would love to add this book to my growing collection! This book looks adorable. I love the ladybugs. 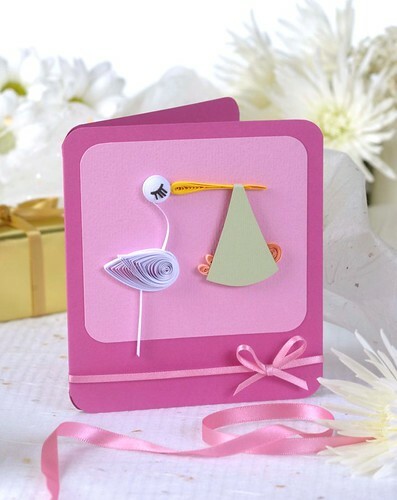 The stork card is adorable. Thanks for the opportunity to win this lovely book. The projects pictured are adorable! I would love to try my hand at quilling again; thanks to Pinterest I have been updated on many paper crafts and am newly inspired! wow looks to be a great book!!! One way or another I will get it!!! What a lovely giveaway. Thanks Ann for a chance to win this book. Would love to add this book to my quilling and paper crafting library. Thank you for the chance, Ann. I have been wanting to try quilling. It looks like a fun craft to learn. And I love bugs, so this would be great. Thank you for the chance to win! This book would be just the thing to finally get out all my quilling stash and start! What a terrific giveaway. It looks like loads of great information and fun! Thanks for the info, Teddie. I bet they'll be back in stock very soon at the Book Depository as it's in England and so is Elizabeth. I LOVE this blog and have forwarded it on to lots of friends. The book would be so much fun to have! The bumblebees hanging are adorable! I'd love to win this. Thank you Elizabeth and Ann! I know I'd love to make the bugs with my nephews - great inspiration. Oh wow - what a great giveaway. I would love to learn how to do this! Pick me! pick me! My daughter and I would have a lot of fun with this book. Thanks for giving a copy away. This book looks wonderful thank you for the chance to win one. I am a newbie to quilling - but have been stamping cards for a long time. So this book wpuld be perfect! Such cuties! I'd love to try these if I win. This looks like an adorable book. I love the samples which have been displayed. I would love to win this book! I tried quilling several years ago but gave up and have only started back within the past 6 months or so and am loving it. I would love to win this book, thanks for the opportunity. Awesome cards, would love to win this book! What an awesome book! It looks like so much fun....thanks for the chance to win one!!! These cards are way too cute...would love to have the book in order to learn how to make them! Love the incredible ideas you offer every time I check my email. Thanks for the inspiration! I would love to win one of her books. Quilling is a fun hobby. Winning one of these books would be fantastic! What a wonderful addition to quilling! Love the above examples. Thank you for giving us a chance to win this wonderful book! Love the ladybugs and bumblebees! Looks like a great book! I recently met a woman at work that does lovely quilling. I haven't taken the plunge yet. I'd really love this book to get me started. These cards make me happy! Thanks so much for sharing. I would love to send some of these cards to make others happy too! I've never done any quilling before but this book might just set me along the path :o) The photos here are so cute! I love quilling, only wish I was better... and had more time to practice of course! This book looks like great fun and I can see using it for paper crafts and fiber crafts!! Thanks for this opportunity to win the book. It looks wonderful!! These are so cute! I would like to try some of these! oh, what a wonderful book! Thanks for the opportunity! Love the projects you spotlighted. wow, it is amazing designs, love to learn to make all the cuties. Thanks for the chance to win. Ooohhhhh! I would love to have this book! I have been seeing some really nice quilling projects and I need somewhere to start, this book would be perfect! This is Super Cool of you to share. I so want to get into quilling and do not know where to start. What a great way to learn!! I have just discovered the world of quilling and cannot believe how relaxing it is. This book looks awesome. If I don't win it I may have to buy it. Thanks for bringing to our attention. Would love to add this book to my collection of quilling books, love the 3D designs. Thanks for the chance to win. I love the peacocks and the bees!!! I love to quill; my sister crafts cards. Your book offers a wonderful way to collaborate! I would LOVE to win this book! A friend just shared a link to your blog with me because she knows I love paper quilling projects! Cute blog and thanks for posting about the book! I just started quilling 3 weeks ago and I would definitely love to get this book. I have been scouring the net for tutorials and ideas for 3 weeks and I just cant get enough! I hope to someday produce something as lovely as the items I have seen so far. What a beautiful book !! Would love to own one. Thanks for the chance :)! Absolutely love the new book! Awesome looking book! Hope I win a copy! Your site was one of the first I found when I started my quilling adventure. Thank you for the opportunity to win! What an awesome book. I've just started quilling and I would love to add this to my collection (I only have one book currently). Just became a 1st time grandma in December. Would be fun to make my grandson cards & wall art from the instructions in the book. Thank you for the change to win this new book. Awesome! I am new to quilling and this book looks like it has some great ideas. I'm in love with the ladybug card! What a fantastic book. I've spent the last few weeks pinning quilling projects in Pinterest and I'm dying to have a go at one of them! My mom, sister and I love to quill! would love the book to have more ideas to do more quilling! Hi! Ann thanks for sharing! I will love to have that book!! Awesome work and It would help me to spread the Art of quilling around the island(Puerto Rico)sharing techniques and telling my students the quilling people that is making the difference in the Art. Congratulations for a great job! Who wouldn't love to have this book....but alas..i can't. Love the new book. I am always looking for new quilling ideas. Hope I win. Lovely cards , would like to try peacock. Stunning designs! Amazing creativity! Thanks for giving the opportunity to get one of the books. Would be great to win one! I love bugs! And, at the middle school I work in, we have an after school program and it would be so fun (and inexpensice) to introduce a group of kids to quilling. This book would be a great introduction (once I practiced all the critters first :) ). The book looks amazing - thanks for the opportunity! I have bever tried quilling but would love to! This is awesome, definitely next to learn on my to do list! I would love to win the new quilling book. I haven't 'quilled' since high school in the 70's and I decided I wanted to get started again. The book would be a wonderful way to relearn on old skill, and a helpful tool to learn a new way. Its always nice to see a new quilling book. I've never tried quilling, but it looks so pretty! Great book.. would love to win.. haven't had a new quilling book in forever.. thanks Anne.. I'd love to win a copy to give to my mom - she loves quilling. This giveaway has ended. Thanks so much for entering everyone! It's fantastic to see your enthusiasm for quilling and Elizabeth's new book.